Why Should Website Design Have An Emergency Alarm System? Security Professionals are never at rest because crooked practices keep them on their toes. Technology has definitely come of age, simplifying our lives and opening the gates for constructive opportunities, but the unethical hackers, lurking in the cyberspace, use advanced tools to trigger aberrations and pose grave security threats to the critical information stored online. Some violations are so subtle and sophisticated that even the best men fail to detect the leaks. Online Security Vulnerability is one of the biggest concerns of business organizations, considering the finesse with which the breaches are maneuvered. With each passing minute, the companies are exposed to serious security dangers, keeping them at the mercy of hackers. Despite several well-built and hard-resistant security methods, the online business websites are facing a new breed of security challenges, sabotaging the mechanism and damaging the future prospects. Each and every attempt is cleverly planned to break the passwords and disclosing the data, sending many into a tizzy. Any such mess tends to choke the efficiency of a business organization and gives it a tough time. Managing the crisis becomes difficult when such lapses affect the communication flow, driving bad name to the respective company. Remember, unhappy customers often vent their anger on social media platforms and start a tirade against the company. This is a winsome situation for the hackers, who further look for opportunities to create an atmosphere of utter disorder. A business has no choice, but to counter these foreseen and unforeseen situations. As there is no end to the attempts made for fomenting the danger, the online security apparatuses have been made more powerful and durable to fight the challenges at various fronts. One such mechanism is Emergency Alert System, which is designed and developed by website designers to keep malpractices at bay. The Emergency Alert System is a back-end feature integrated during the developmental process of website. The webmasters create Emergency Alert Systems by analyzing the various past incidences of security failures and resting an eye on the future risks. They study how the undesirable penetrations were dealt with in the past and create a system that can tackle such disruptions with ease in the future. Prior to building a high-performance alert system, a renowned website design company thoroughly analyzes the nature of the business, measure the security scale and build a customized and full-fledged security structure that meets the requirements of the website owners. The presence of toughened security systems discourages cyber criminals to enter the networks and seize the classified information. The website designing companies pay special attention on choosing the best ways to tell the audiences about the alert system. Some argue that banner advertisements are advantageous when it comes to informing the customers about the strengthened security, while some believe writing a few emboldened lines on the top is enough to draw customer attention. The home page of the website must be chosen as the transport of the alert messages. Email Marketing is also an option worthy of consideration. If the data is strongly encrypted, any battle with the cyber thieves will be won. 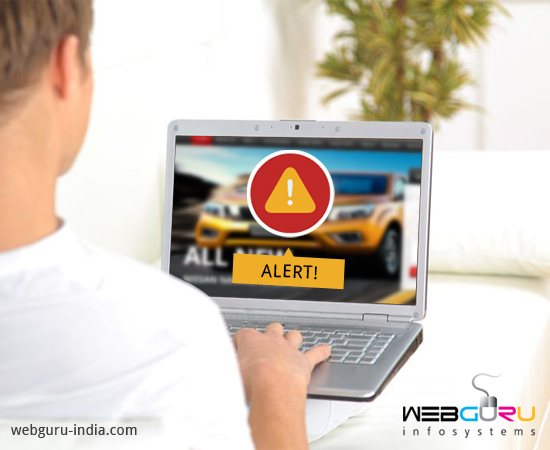 To have a hard-wearing alert mechanism for your website, seek the help of sharp, astute website designers only.